Hey all! I remember when the Maybelline Falsies mascara first appeared in Barbados a year ago, and I was so excited to try it after hearing rave reviews, then be disappointed by the waterproof formula I had picked up and the size of the brush. 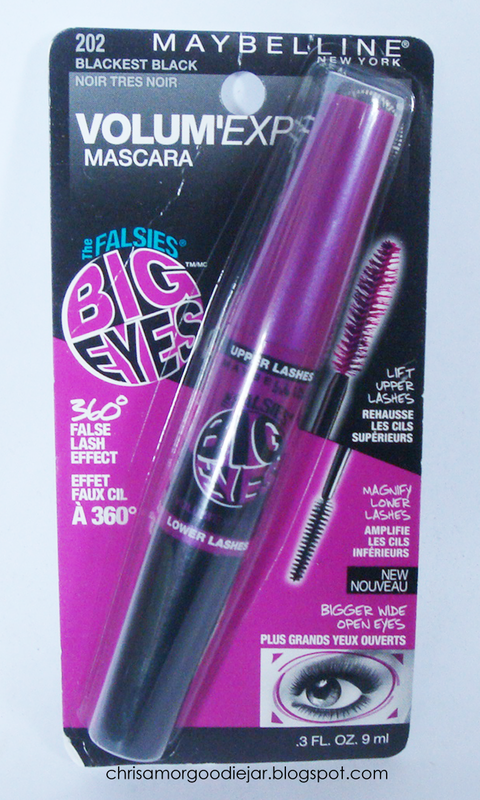 So when I saw the Big Eyes mascara while in New York, I was a bit reluctant, but intrigued at the same time. The Big Eyes is a dual ended mascara, with a larger brush which "lifts upper lashes", while the smaller brush "magnifies the lower lashes". As far as I've noticed it does give good volume and length, depending on how many coats you apply. The lower lash brush is still not the neatest of brushes with the lower lashes, but that may just be me. I don't think I've quite mastered the art of applying mascara on my lower lashes without a mess or partial raccoon eyes, haha. I definitely love both of the brushes, as you see they are fibre brushes and they hold a good amount of product on them. Not so much that you have to be wiping off the brush before use, like I had experienced with the Falsies Waterproof. 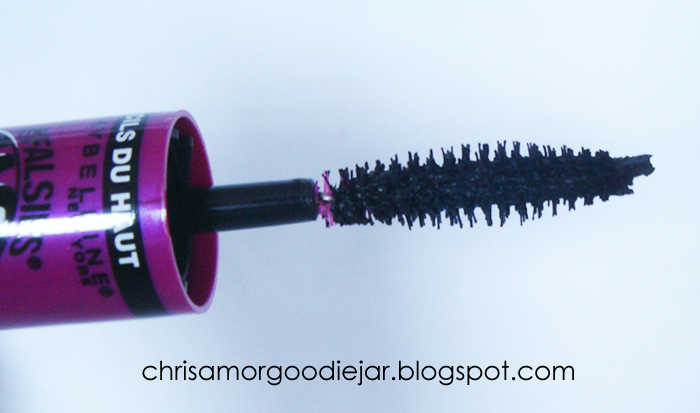 This mascara lasts all day and holds curl well, as I sometimes do curl my lashes for a bit of extra oomph. In the photos they haven't been curled though. But can you see the length it creates? Beautiful! 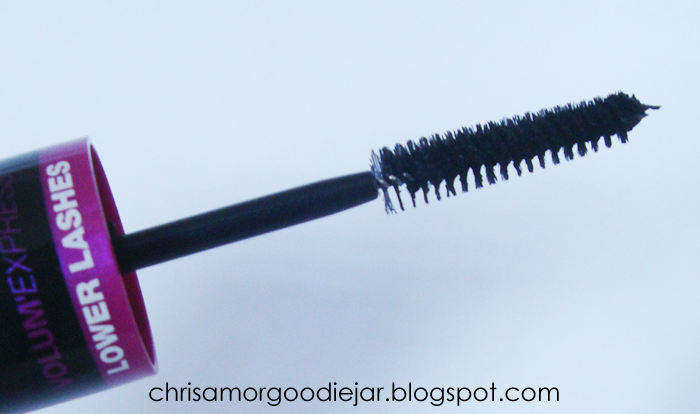 Also I don't see much flaking with this mascara, only if I decide to rub my eyes or pull at my lashes. Bad habit really. 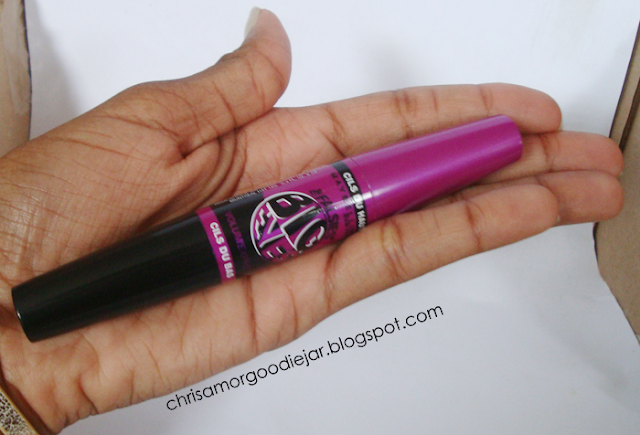 For a good everyday, affordable mascara, this is great. I love that it's dual ended and I think the formulas in both tubes are the same. It's an opaque deep black that looks beautiful on and it really easy to apply without messing it up too much. Disclaimer: This product was purchased with my own money, opinions are my own.